Routine care starts at any age, whether as a puppy or kitten, or as an older adult. We encourage annual visits to allow us to better follow the health of your pet. During these wellness visits, certain vaccines may be recommended. We tailor the vaccines to the needs of your individual pet. Puppies and kittens receive a series of boosted vaccines over the first few months, while adult dogs may require vaccination less frequently. 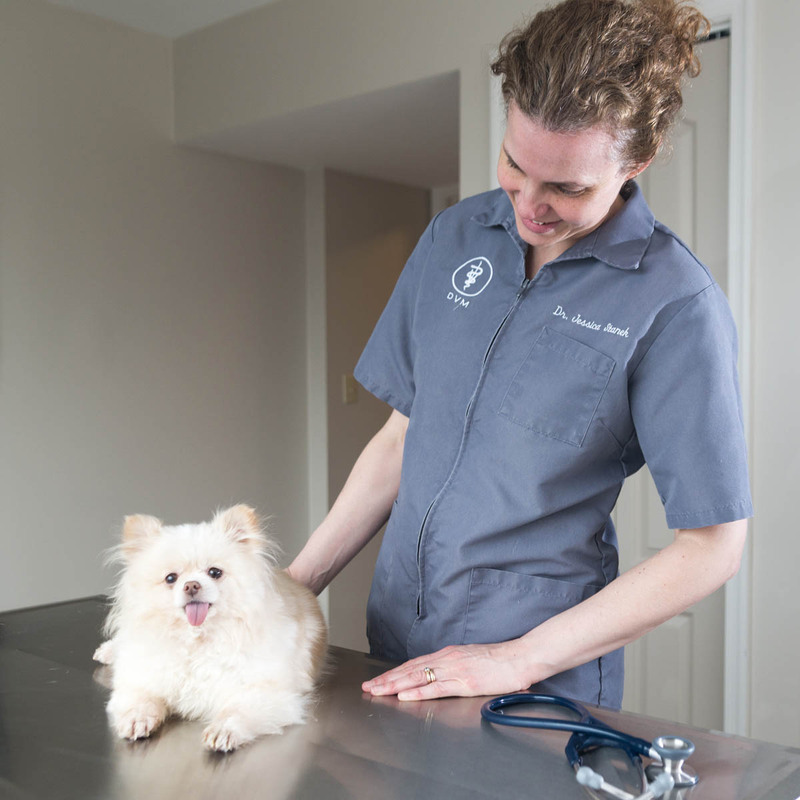 Whether during normal business hours or after hours, sickness and emergencies are handled by our veterinary staff. If your pet requires veterinary care after hours, and you are a client in our office, call our office number and the message will direct you to call one of our 3 veterinarians on staff. 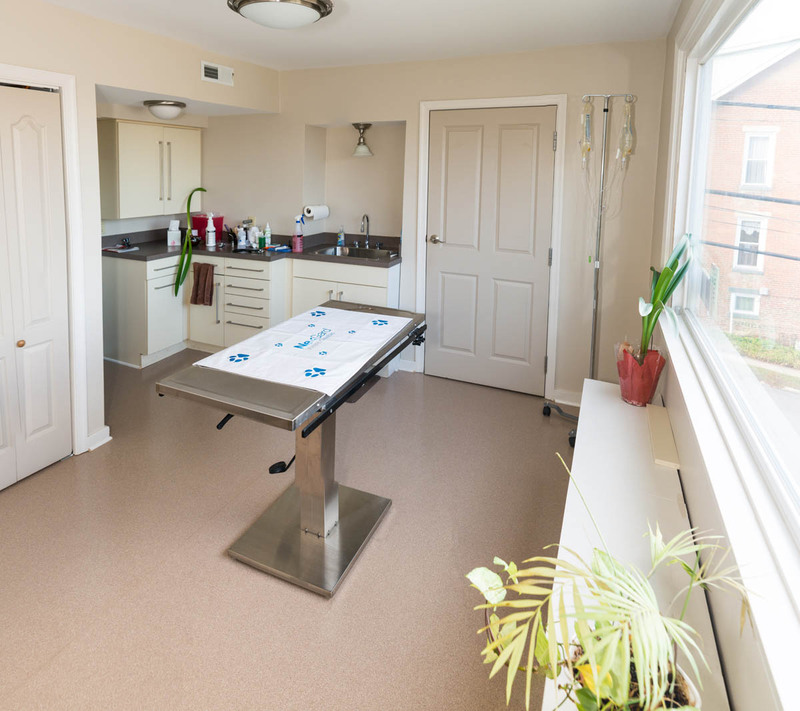 We perform many kinds of surgery such as spays, neuters, lump removals, bladder surgery, GI surgery, wound repair, and dentals (including cleaning and extractions). Our surgeries are performed under anesthesia with our technician monitoring the patient during the procedure. We address perioperative and postoperative pain with a multi-modal approach, using a combination of medication to keep our patients comfortable. At this time, any necessary orthopedic (bone) surgery will be referred to a veterinary orthopedic surgeon. Our digital X-ray machine allows us to take high quality images of your pet should the need arise. Most of our radiographs can be taken with your pet awake. In some circumstances, light sedation may be necessary. In either case, results are reported right away, and read by our veterinary staff. If consultation is needed, radiographs can be easily emailed to the appropriate referral veterinarian. Our in house laboratory allows us to run many tests on your animal right here in our clinic, including tests on blood, urine, or feces. We also use an outside lab for certain tests, with most results being faxed back to us within 1-2 business days. If your pet needs medication, we can often provide the prescription right from our office. In addition, we carry a variety of flea and tick control products and heartworm preventions. We also carry many lines of prescription dog or cat food diets, which your veterinarian may feel is necessary for certain medical conditions. We understand that end of life decisions are never easy. 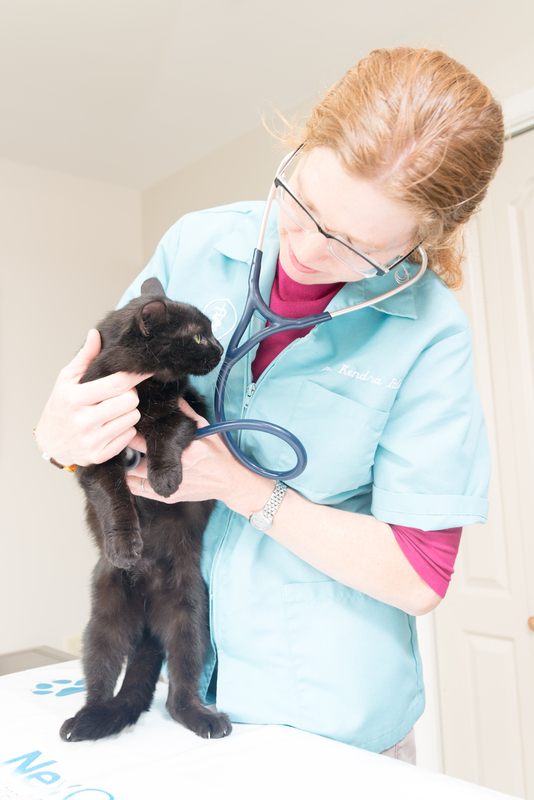 Our veterinarians can help guide you along the way, answering any questions you may have, and providing a loving and understanding environment when the decision is made.